This time of year is all about giving. To get in the giving spirit this year I participated in Operation Christmas Child. Operation Christmas Child is an annual event for needy to children around the world. They collect shoeboxes filled with gifts and love made specifically for a certain age group and gender. I have been creating a shoebox, or two, for this charity since I was about 8 years old, so by now it is a tradition. I love that I get to hand pick a gift that travels around the world. I always include a hand written letter in my box and one year the child who received my gift wrote back! That year my box had traveled all the way to Africa. This year the shoebox I filled was for a girl, age 5-9. 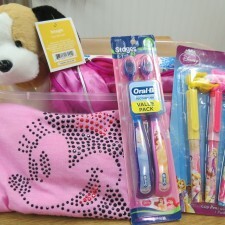 I filled it with all of my favorites which means there was a lot of Disney stuff in this little girl’s box! 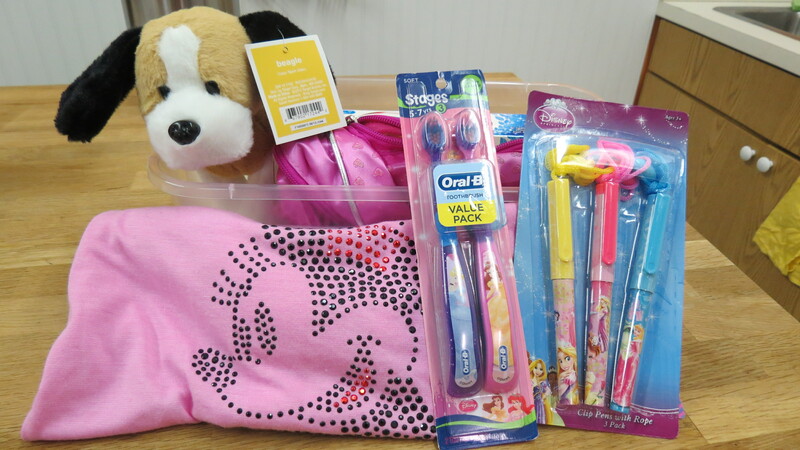 I also filled it with toiletry items such as, toothpaste and soap and baby wipes. I can’t wait to find out which country my box went to this year and I hope whoever gets it will know it was made with love. What’s your favorite charity or holiday tradition?